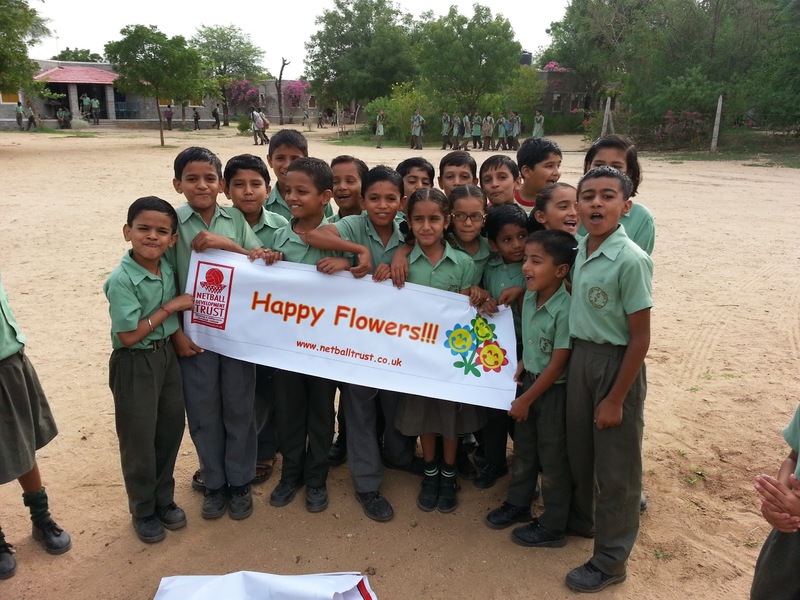 "Though my stint as a teacher at Fabindia School was a short one(2002-2003) it was an experience I still cherish. The liberal environment that kids got here is really really difficult to find anywhere else. What I specially remember is the interactions with Ms Pritha Ghosh which were really helpful at that time n now also when I am having two kids of my own. Alas I couldn't find a school as good as Fabindia for my kids. So everybody at Fabindia keep the good work going n all the best!!" Please take a deep breath...wait and the video will load! The campus for Juniors with a capacity of 150 children below six years of age is now buzzing with activity! Classes Nursery, Prep and Intro are housed in this beautiful property of near six acres. Built with stone and traditional materials, with large play areas, a farm and a soon to be added Art and Music Schools and more. This new campus shares a common wall with the main Fabindia School (from Class I to XII), we hope to offer best in class environment for the pre-primary years, and will build capacity to 300 students by year 2015. Today both the campuses add up to near 850 students. Finally the junior campus will have 300 and senior 600 only. This is being done to de-congest the classrooms and offer quality education to all. The pre-primary schools at Champabagh and Mundara have both been closed, and the students have been accommodated in the junior and main school campuses. This will help us consolidate and offer good quality education for early years, make teacher training easy and help in administering better too. There will now be no more satellite schools, and we will run only one 'The Fabindia School' on the two neighbouring properties. A big thank you to the BAT Board, the School Staff and all who made this possible in a record time to just 45 days. The Netball Development Trust from London, UK is conducting a netball coaching clinic at the Fabindia School, Bali; the tour is being led by Aditya Bee who is joined by coaches Amanjit Kaur Dhaliwal and Safeer Ahmad and is supported by Fabindia School's sports teacher Mr. C. P. Singh to deliver netball training to students from classes 6 to 10 at the school. In addition, invitations are being sent out by Fabindia School principal Ms. Parineeta Ranpal to all schools in the vicinity for their students and sports teachers to join the training and learn this sport. Netball promotes equality between girls and boys and can be played by both together as it is a non-contact sport. 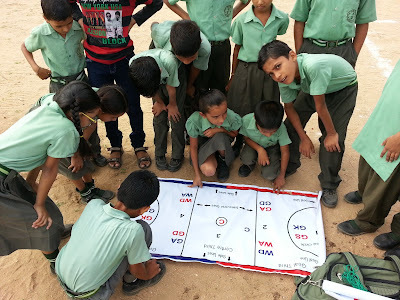 It is played by teams of 7 players a side on a 100 by 50 feet court and can be played in rural and urban areas at a very low cost. The Netball Development Trust was founded by British Indian Monica Thandi in 2010 and has visited schools in Uganda and India to deliver the programme to over 4500 girls and boys in both countries. The Fabindia School founded in 1991, is a english medium CBSE co-ed school that has over 1000 students currently enrolled in nursery to class 12. The school reopened after the summer break on 1st July'13. Science stream has started with 21 students and Commerce stream with 9 students. Friday activity was carried out in all the classes. In English classes the students were given worksheets, word puzzle and a number of speech games were played. In E.V.S. classes the students drew pictures related to their chapters. In Maths classes students were given mental maths worksheet and in Hindi classes composition writing was carried out. The Workshop started with an introductory session where the staff members introduced themselves and also shared their experiences. Mr. Bhatt said that the most important thing for a teacher is that he should be audible and adopt to change by updating himself timely. A teacher should always be prepared and be connected with his students, be a motivatot that his students always remember him. A teacher should gear himself, prepare himself, start thinking, have belief and most important change himself. Nine new teachers have joined school in July 2013. Under the stars sweet dreams survive. Chocolates are my choice I love my lovely voice. But sometimes I play rough and break the bat.